Citizen K International magazine contains everything that a woman could possibly need to know about the latest trends on the catwalk. There are also articles based on cultural developments such as up and coming writers and artists. Being predominantly based on the fashion industry, the magazine showcases the latest concepts of fashion and style. Buy a single copy or subscription to Citizen K International magazine. 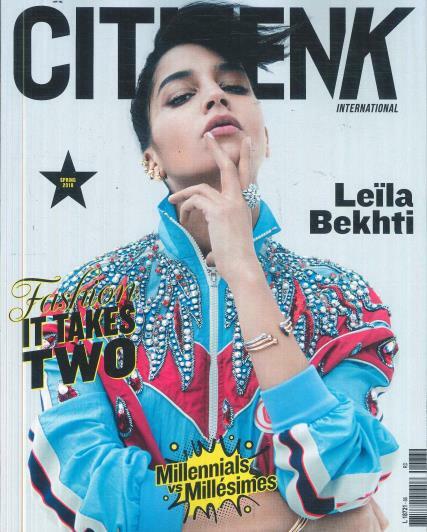 Citizen K International should be the go-to magazine for all fashion lovers. As each issue is focused on the current trends of clothing and beauty products. You’ll be inundated with new fashion concepts and latest ideas taking place within the fashion world. There are four issues printed a year, which are all filled with high-quality images of popular models and some upcoming models. Citizen K International magazine works with various photographers to help shed light on the relationship between fashion and photography.